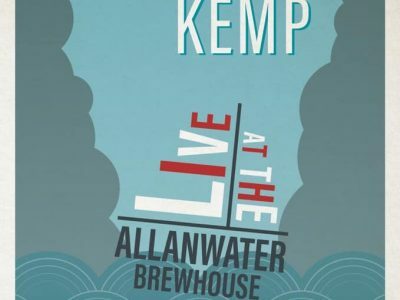 It’s been another busy weekend at The Allanwater Brewhouse with our patrons treated to some of the finest contemporary music out there while some of the best house brewed beers in the business wowed a diverse range of ‘Good Beer Buzz’ ale-hunters! 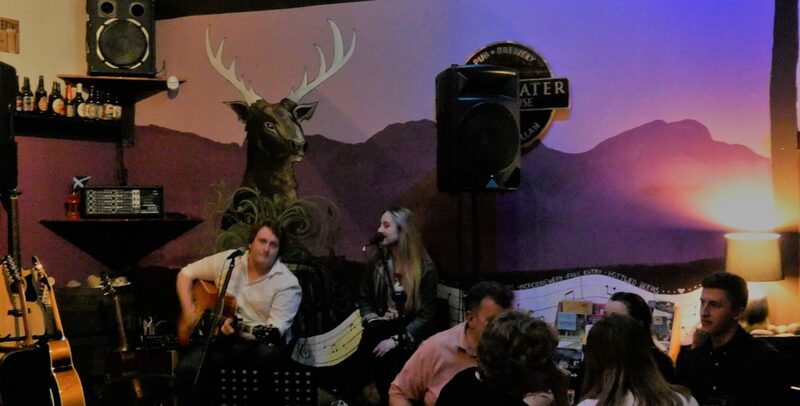 So, we will start with last Saturday night’s superb performance from Amy & Drew, a young Stirling based couple who have quickly been taken to the hearts of Brewhouse patrons with their flawless renditions of Americana anthems and easy listening standards. As you can see from the pic below the warmth and soul of Amy’s voice had our patrons mesmerised while Drew’s flawless performance on an acoustic six string provided the perfect accompaniment. Well who are we to argue with the great man! 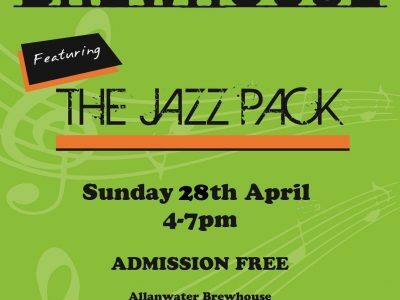 If you were at ‘The Brewhouse’ on Sunday afternoon when our resident jazz combo (pictured below) took to the stage to play their monthly session. We have no doubt that a sudden smile would have lit up your face…especially when washed down by a pint of one of our lovingly crafted in-house brewed beers! Of course, while the air was filled with this rich variety of musical magic, a steady string of thirsty Ombres were treading The CAMRA ‘Mild Trail’ all the way to our door! 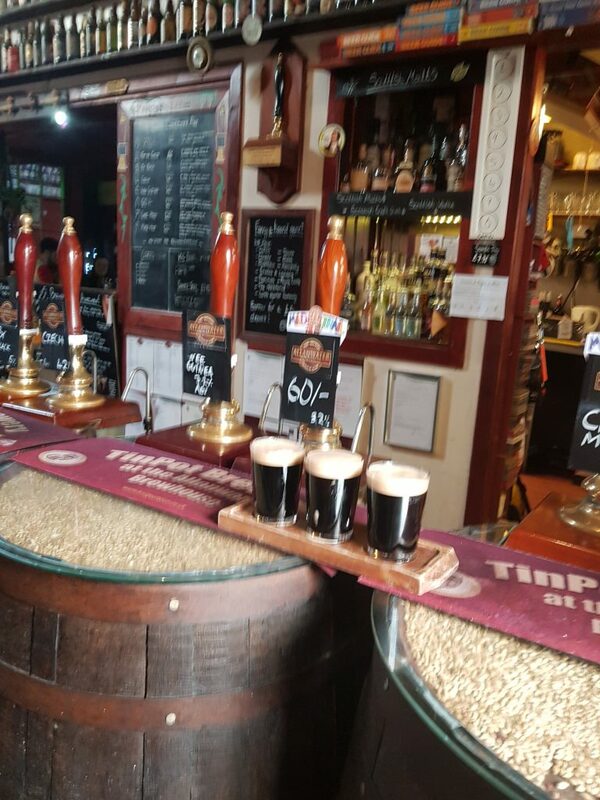 Pictured below our sensational selection of three ‘Brewhouse Milds’ in the shape of maple, chocolate and 60/- (shilling) went down quicker than Ross County! It’s time to let Brewhouse owner Douglas Ross paint the picture: “It’s been a fabulous weekend in terms of the Mild Trail but what was interesting to note is that there was no clear favourite among our patrons when it came to our three amigos,” revealed Douglas. He continued: “There is no doubt that there were plenty fans of the maple’s wonderful syrupy and smoked maplewood aftertaste, while the rewarding double choc flavours of the chocolate mild had its supporters as did the more traditional and classic 60/- (shilling). 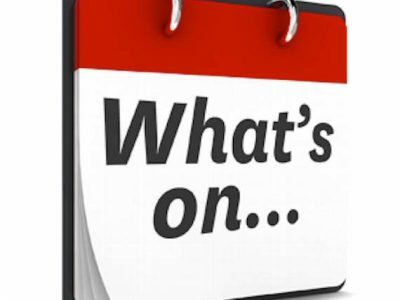 While that was the weekend that was the midweek that followed has been equally busy! So, there is no point in wasting any time (!) introducing our featured beer of the week…. over on our ‘Brew of The Week’ video tasting blog you can catch the full review of ‘Grapefruit IPA’ (grapefruit infused IPA) but suffice to say a sip of this pint of liquid Nirvana will provide you with the ‘hoppiest’ moment of your weekend! 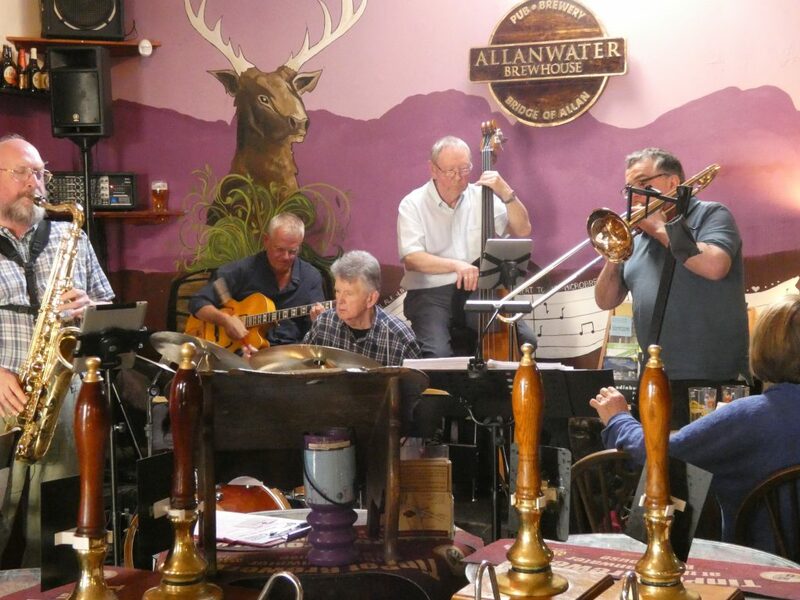 Every Tuesday night The Brewhouse plays host to the amazing velvety tones of Mr John Boyd, which, needless to say, always goes down a treat with our regular customers and members of The Stirling Bike Club! 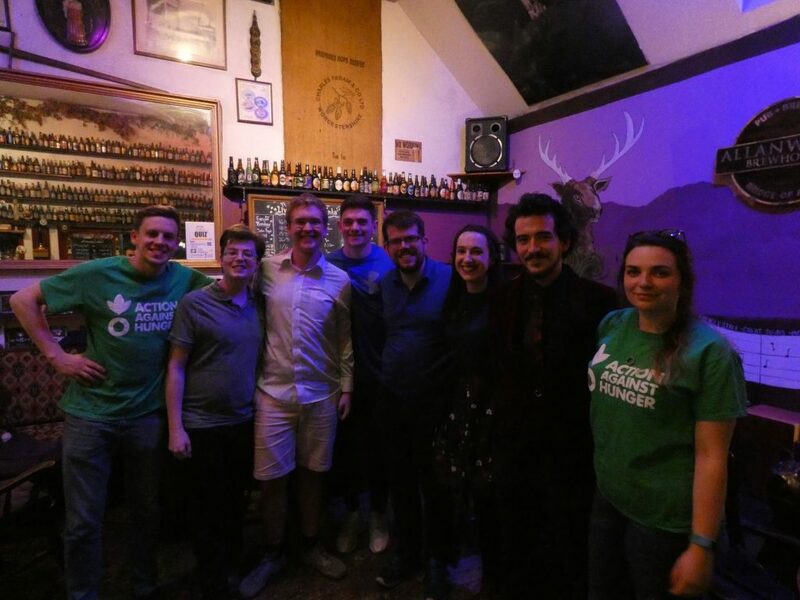 Tuesday was a particularly busy night as we also hosted a gathering of international students from Stirling University’s ‘Research & Innovation’ Department…you can bet we did our homework to make sure we came up with all the answers for them! Last night we hosted a Charity Quiz in aid of ‘Action Against Hunger’ which was won by the ‘Quizzer Sisters’ (pictured below)….you can bet this lot have never “felt like dancing”!! This is a charity that is particularly dear to us as two members of our staff Callum and Brigitte will shortly be taking part in an expedition to climb Mount Everest in aid of AAH and The Brewhouse is determined to do all it can to help and we would love your support too! Looking ahead we are delighted to be hosting our ever popular ‘Open Mic’ night this Friday at which a mix of bar room warblers, shower room sopranos and ten-sheets to the win tenors will battle it out for mastery of The Brewhouse Mic…we can’t wait! So, if you fancy yourself in possession of a set of silver tonsils then feel free to roll up at 8.15pm tomorrow night…a warm welcome will await! Before we go there is just time to mention that Saturday night’s live performance will come from the man known to all at the Brewhouse as ‘the human juke box’, the hugely talented Luke Ivins! Well as they say in the best cartoons…. That’s All Folks! !